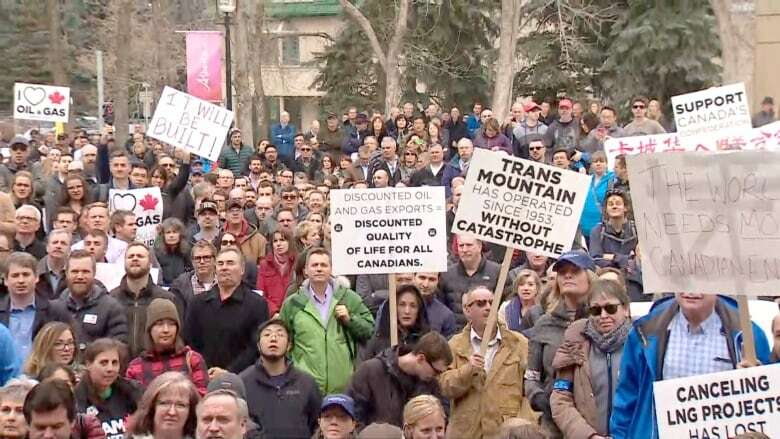 A large crowd packed into the plaza at the McDougall Centre in Calgary on Tuesday for a rally to show support for the Trans Mountain pipeline expansion project. Organizers say the event was triggered by a recent Kinder Morgan decision to put the plan on pause. Citing ongoing opposition from the British Columbia government, the company announced recently it is suspending "non-essential activities" and related spending for the proposed expansion project. The company has said it will consult with stakeholders in an effort to reach agreements before their deadline of May 31 to allow the project to proceed. B.C. Premier John Horgan is pursuing a reference case in the courts to determine if his government can control the shipment of oil through the province on environmental grounds — something Kinder Morgan mentioned on Sunday as a factor in its decision. 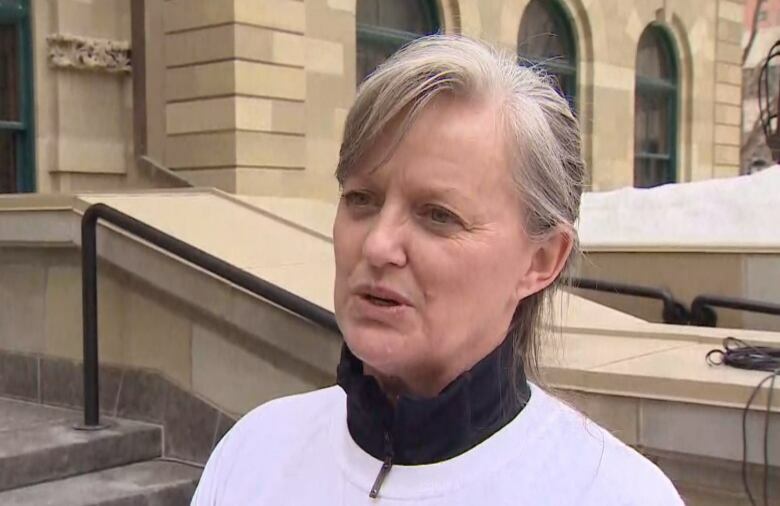 Rally For Resources organizer Cheryl Hurtak said the project is badly needed by the oil industry in Alberta. "It's critical, we can't just keep pandering and we can't just keep paying lip service to this," she said. We need the [federal] government to know this has to happen now or [Kinder Morgan] is going to pull out." 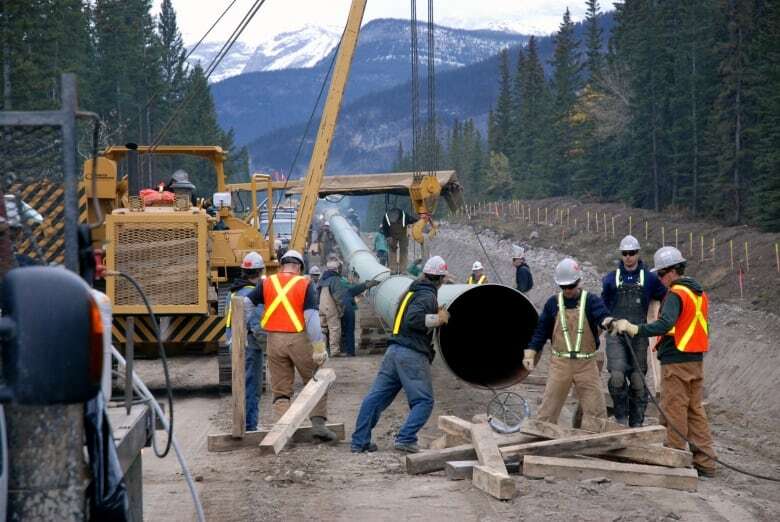 Hurtak said the project is badly needed by Alberta's oil industry. "The downturn was bad in 2016 but if this doesn't go through, we're not going to recover," she said. "We keep hearing all these numbers about employment improving, but it's not, it's not. If you know people in the patch, we're a tight family, it's not getting better." Tuesday's rally drew about 1,500 people, according to Calgary Police Service estimates. It attracted politicians from across the spectrum, including UCP leader Jason Kenney and Calgary MP Michelle Rempel and Alberta Municipal Affairs Minister Shaye Anderson. Hurtak said her husband was out of work for more than a year after being laid off from his job in the oilpatch and there were few resources available to them. "It was pretty rough, we got zero support, zero support" she said. "I phoned the provincial government looking for retraining options, nothing, absolutely nothing was offered. It's all lip service." Earlier in the day, Calgary Mayor Naheed Nenshi said the situation has "escalated to a constitutional and economic crisis for the country, and we gotta stop it." "This isn't about activism, this is about, fundamentally, not just the economics of this country, but how this country works and the very nature of federalism. The lawsuits and the court challenges are frivolous, they're vexatious, and I'm calling on [B.C.] Premier [John] Horgan to stand down now, and understand that he's no longer an activist on a protest line holding a sign, he's a leader. "He's the premier and he's part of what makes this country work and it's important for us to recognize and respect the actual jurisdiction here." Hurtak called on Prime Minister Justin Trudeau to step in. "He keeps saying we're going to see it ... actions speak louder than words ... put the shovels in the ground, you have the authority, this is a federal government issue, step in," she said. "You've got a couple of squabbling siblings here, step up and be the parent, that's what we need." The federal government held an emergency cabinet meeting to discuss the matter on Tuesday. However, when cabinet ministers emerged, they offered no clues on how they plan to resolve the crisis. The headline has been revised from earlier versions to more accurately reflect the crowd size. The Calgary Police Service says it estimated the crowd at 1,500 people.